New to You – New challenge with a2z Scrapbooking! It’s Donna her from Creative Lady, I am here with a2z Scrapbookng with a new challenge for January. This months challenge is “New To You”. 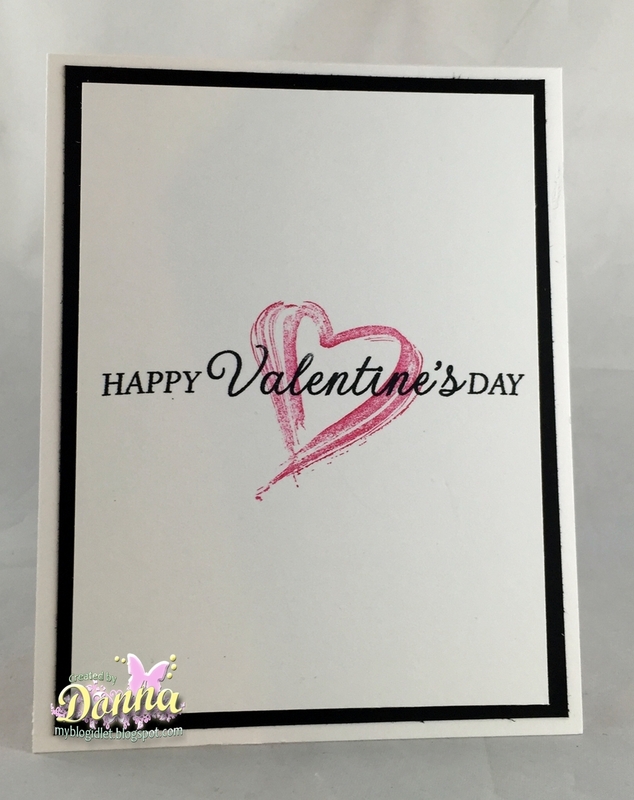 Use any Hero Arts product (Stencils, stamps, dies, embossing folders) to create a card with a product that is new to you! I have used a stamp set that I have had for a while, but never used the stamp “Love”. My card is clean and simple. I stamped two of the love images and cut them out. Then I took some of the black layering paper from Hero Arts and cut around the image to have another layer. I love using black on my layering because it really makes the image or card stand out. I then popped the two images together, added the black background. Then added the image to the card. The ribbon I used was in my stash. So are you ready to use some of your new products you got for Christmas. Please come on over to a2z Scrapbooking and link your project to the blog. The link is on the right side top of the blog. Oh did I mention, by entering you will be entered to win a $25 Gift Certificate to the a2z Scrapbooking store. Winners will be announced on the 16th of February. Also, don’t forget if you’d like to buy any products from the store, use the discount code, Donna15 to get 15% off. Can’t wait to see what you create. Categories: Friendship Cards, Handmade Cards | Permalink. I love this! Great mix of stamps and love the colors!